An Indian activist said on Wednesday that he expects thousands of people to join his "March for Justice and Peace", a 9,500-kilometre hike from New Delhi to Geneva next year. 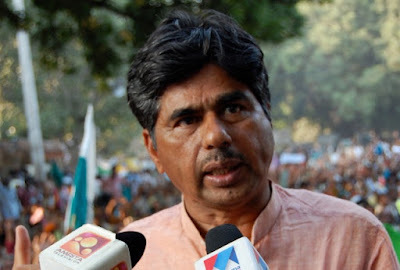 Rajagopal PV told reporters in Geneva that he plans to begin his long trek from New Delhi next October 2nd and should arrive in the Swiss city on September 25th, 2020. The 70-year-old engineer and advocate for the rights of landless peasants in India said the idea was to cross through Pakistan, Iran and Turkey on the way towards the Swiss "city of peace". The man often dubbed the "New Gandhi" -- a title he says he is uncomfortable with -- said he hoped to get the Dalai Lama and former US president Barack Obama involved in his cause. From now until next October, he said he planned to travel around the world to seek support from organisations and cities, in the hope that thousands of walkers from other corners of the globe will also set off on a trek towards Geneva. Once they arrive in Geneva, the walkers plan to organise a week of discussions on peace and non-violence in the city.